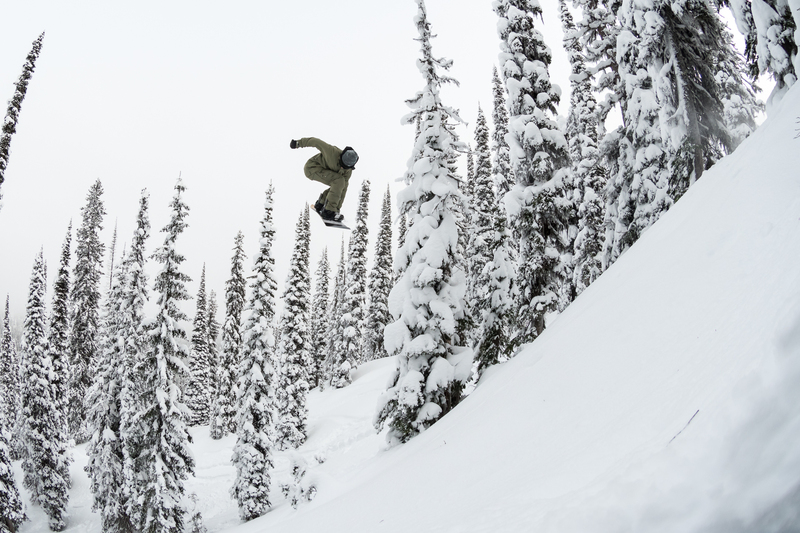 The comfort/durability equation seems to plague snowboard boots. Too comfortable out of the box, and boots usually pack out and break down far too quickly. Nobody wants to run through multiple pairs per year, but a too-soft boot rarely works out in the long run. Too stiff, and your feet can’t take it for the first dozen days—they may never break in. Years ago, I broke my ankle pretty badly. I have a weird wide-forefoot/skinny-heel foot profile. My personal quest for the perfect pair of boots never seems to end. But the Ride Fuse boots have come pretty damn close. I had a pair of Fuse’s two years ago that was made of leather. They looked nice and felt great for 25 days but broke down too fast. Then last season, Ride found the right formula when they updated the Fuse with a rubber toe cap and plastic spine. This stiffened things up a bit and ensured long-term support. Billed as an aggressive freestyle boot, the Fuse found that necessary balance—not a toe-numbing level of stiffness, but enough to handle heavy runouts without feeling like your ankles are gonna bend in non-natural ways. They’ve got traditional lacing to provide zone-appropriate adjustments if you want, and a boa closure on the inside to lock your heel down. A note on the boa: they are a personal, love it or hate it thing, but I think this single boa setup gets you the best of both worlds. It’s easy to keep a replacement boa on hand in case of failure, whereas boots with multiple-boa design can be a true hassle if one or more of them pops. I’ve never been able to lock down that internal lace sliding well enough to hang a full day on non-boa boots, whereas the boa lets you tune them in just right and keep them that way or pop the internal lacing for a bit of pressure relief when you need it. On the inside, a standard intuition liner ensures warmth and comfort, whether you heat mold them or let them break in. Speaking of breaking the boots in, they did take four or five days to feel just right. That’s about perfect in my mind. It meant they stayed supportive all year—in my case 60-plus days. The synthetic outer remained relatively dry, even through long days in the backcountry. Bottom line, the Ride Fuse have found the balance of features, fit and function that’ll keep me running them as my go-to boot for resort accessed riding for the foreseeable future. Ride Fuse snowboard boots retail for 329.95 and can be ordered direct from Ride or found at a fine retailer near you.